A Tree Services is a Minneapolis Tree Removal Company that is Licensed, Insured and Certified. With over 50 years in the business, we know what we are doing, and we love what we do. Each job is different, for a variety of reasons; including Tree Placement, Condition, Surroundings, Size and Access. Our Minneapolis Tree Care Company would like to share with you the best time to remove a tree. When to Remove a Diseased Tree – ASAP. A Tree Services has dealt with a lot of diseased trees in the local area. EAB (Emerald Ash Borer) and Oak Wilt have been plaguing Minnesota. The only way to prevent further spread is to immediately hire a specialized company to remove and quarantine the diseased tree. Time is of the essences! When to Remove a Damaged Tree – If you have a damaged tree, the sooner it gets removed the better. If it is just a branch and the tree otherwise looks healthy, it may not even need to be removed. So, make sure to have a professional identify its condition. In general, if a tree has significant damages, the faster it is removed the safer, easier and more affordable the tree removal process will be. The longer a damaged tree sits, the further it can rot. Leading to instability and a more cautious removal approach. When to Remove an Unwanted Tree – When your budget is right! Preferably in the winter. Winter is a great time for tree removal because the ground is frozen, and it will minimize damage to your lawn if a crane needs to roll through. And with the leaves off the majority of the trees, access is greater and there is less mess. When to Remove a Hazardous Tree – A Hazardous Tree can mean a number of things. Trees close to roadways blocking views, trees touching your home, trees close to power lines, etc. As soon as you spot a hazardous tree, it is time to hire a professional for tree removal. With tree removal being one of the most dangerous jobs a person could perform, it is important to hire a highly qualified team – which A Tree Services is. When to Remove an Old Tree – There are many beautiful, mature trees that are coming close to their last days. If you notice any change in an older tree, do not ignore it. Contact a professional. Those beautiful, mature trees come down hard if left to its own devices. Don’t wait for that to happen, act now. Contact A Tree Services for a Free Tree Removal Estimate. 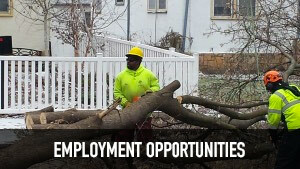 This entry was posted in Tree Removal and tagged Damaged Tree Removal, Hazardous Tree Removal, Minneapolis Tree Removal, Mpls Tree Removal, Old Tree Removal, The Best Time To Remove a Tree, Tree Removal Minneapolis, Tree Removal Tips. Bookmark the permalink.